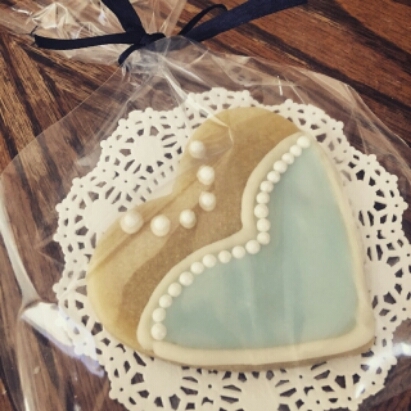 If you’re an avid baker, chances are you’ve been asked once or twice to bake up a couple hundred goods for fundraisers, weddings, showers, what-have-you. Most of the time a system is developed in which you find a groove and work with it, making everything flow smoothly your second or third time around. For first-time bakers though, the thought of making a multitude of goods can be incredibly overwhelming. There are, however, a few tips and tricks that I’ve developed over the years to help me make my baking experience run smoother than a knife through room-temperature butter. 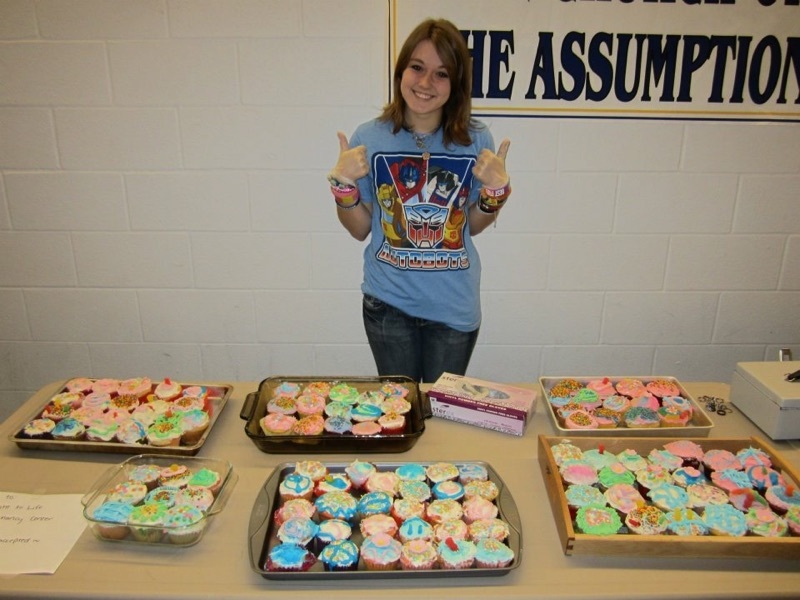 I’ve done a couple of large bake sales for my church (pictured below is me from high school) and about a year ago I did some baking for a wedding. For me, doing this was very easy, although time-consuming. I realize though that it doesn’t always run this smoothly for everyone, so here are my tips and tricks to help your baking experience run as smoothly as mine do! If you’re making a large amount of baked goods, you are going to be stuck in the kitchen for a while, watching them bake. This means no running to the store–you don’t want to burn an entire batch of your goods! This means you need to read your recipes and determine how much flour, sugar, etc. you need in total, and you need to stock up on absolutely everything! That way you never have to leave the comfort of your kitchen to run and grab a bag of flour, and you never have to halt your entire process for a quick trip to the store. Don’t forget to stock up on the decorations and icing, either! These are just as important! 3. Double up the recipe! You can do this with box mixes and box frostings, but it’s much easier to do this when you’re working from scratch. This will cut down on the time needed to prepare batters. It’s very easy to make up one double batch than to make two separate single batches. 4. Make your own frosting! If you make your own frosting, it saves you a lot of money because all you really need is butter, cream cheese, or corn syrup, a little milk, and powdered sugar! Not to mention scratch frosting is delicious. 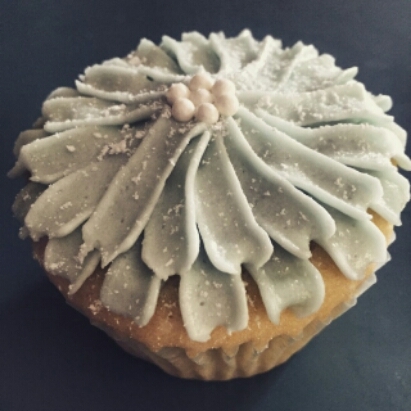 This will save you loads of money because the powdered sugar will go a long way, and you can make as much as you want, versus buying little tubs of frosting for a fortune and running out. 5. Always be on the move! If you aren’t baking, you’re decorating. If you aren’t decorating, you’re making batter. If you aren’t making batter, you’re cleaning dishes. Just keep moving and you’ll be surprised how much time you save when you aren’t sitting around watching your cupcakes rise. 6. Save your frosting and decorations! Don’t ever wash your frosting down the sink at the end of the day, especially if you aren’t done decorating. A little frosting goes a long way. If you can save even a cup of frosting, it will help you frost 10 or more cookies or cupcakes! If you bake frequently, you realize how valuable scratch frosting is because it takes a copious amount of powdered sugar to make a batch…up to 5 cups for a single batch! Sprinkles are very valuable as well, so don’t ever throw out your unused sprinkles. You can use these in the future. Nothing is more horrible than having exactly the right amount of cupcakes, decorating perfectly, then dropping one frosting-side down on your kitchen floor. Baking an extra few cupcakes or cookies will help you avoid the anxiety associated with mess ups and accidents. Travel is the most difficult part of baking large amounts of goods. I remember once I didn’t have the proper travelware to get my cupcakes from point A to point B, so I just stuck them on a tray and hoped for the best. But as I was driving, I had to suddenly stop, and about 75 cupcakes slammed into the back of my car seats. It was horrifying. If I had had enough of the proper containers–cupcakes holders, etc. this could have been avoided. I hope you find these tips and tricks helpful in your endeavors! Good luck baking!